SeaMonkey is available in 26 languages, for Windows, Mac OS X and Linux. Enabled mixed content blocking to protects users from man-in-the-middle attacks and eavesdroppers on HTTPS pages. 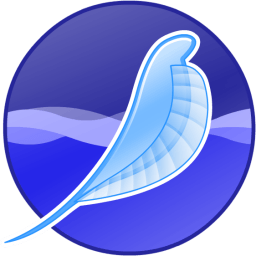 The bug which prevented you to set the default search engine in SeaMonkey 2.46 has been fixed. If you see any problems with this please report it in bug 1265881. The Errror Console is now a part of SeaMonkey. It was replaced by the Developer Tools Web and Browser Console in Firefox which both are also available in SeaMonkey. If you use css to style the console please note that it is now located in "chrome://communicator/content/console/console.xul/". The Help Viewer is now a part of SeaMonkey and has been deleted from Mozilla Gecko. SeaMonkey now uses the HTTP cache v2. For technical details please check bug 1241622. Troubleshooting Information in "about:support" is displayed in a better readable layout.